UPDATE 9.45 PM: 18-year-old Aussie Jordan Thompson has today achieved the biggest victory of his fledgling career. 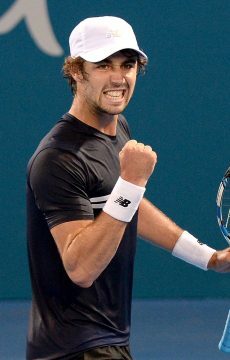 18-year-old Aussie Jordan Thompson has today achieved the biggest victory of his fledgling career in overcoming French journeyman Nicolas Renavand in the first round of qualifying at Australian Open 2013, 4-6 6-2 9-7. 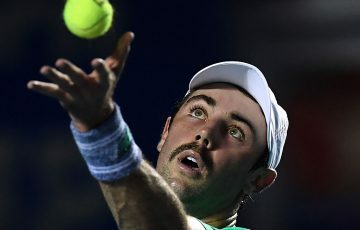 Previously unranked on the ATP tour – and a wildcard into this event – the Sydneysider was clearly thrilled to earn his first points after toppling Renavand, who is currently ranked 274 in the world, and at 30 years of age, a vastly more experienced campaigner. “Unbelievable. I’m extremely happy,” Thompson said immediately after the win. The match itself was highly entertaining and saw some distinct momentum shifts as each player worked hard to gain the upper hand. Thompson found himself down a break early and watched the first set slip out of his hands after creating a few chances without being able to capitalise. The young Aussie wasn’t daunted, however, and came out swinging in the second, rushing out to an early lead with some tenacious play from the baseline to keep his opponent on the back foot. A second break of serve came his way late handing him the set and giving him a distinct edge as the match entered the decider. But another shift came, and it came quickly. Already down 2-0 in the final set, Thompson found himself looking down the barrel of a double-break, but showing composure well beyond his years, he fought back strongly and eventually earned himself the advantage 5-4. 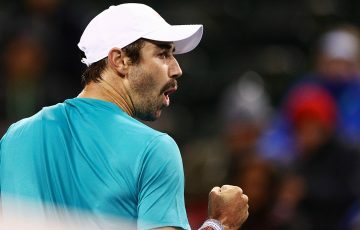 With the Frenchman serving to stay in it, Thompson propelled himself to three match points on the back of some aggressive tennis and some mistakes from his opponent. 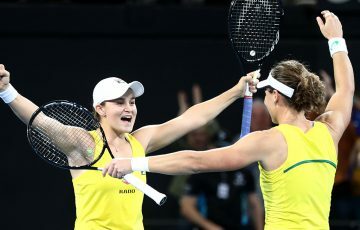 The Australian was unable to close it out though and the scene was now set for a thriller with the final set played to advantage. In trouble on serve in the very next game, Thompson managed to save the first of two break points, but then broke a string on his first serve. “Probably the worst timing ever,” he said after the match. And he did just that. A couple of games later, Thompson was presented with his fourth match point and this time, he made no mistake, forcing an error from Renavand with a strong service return. Thompson was excited his great form has come on local soil and admits he loves playing in Australia. “Playing at the Australian Open is even better though,” he added. Thompson now moves into the second round of qualifying at Melbourne Park where he will meet American 21st seed Ryan Sweeting. 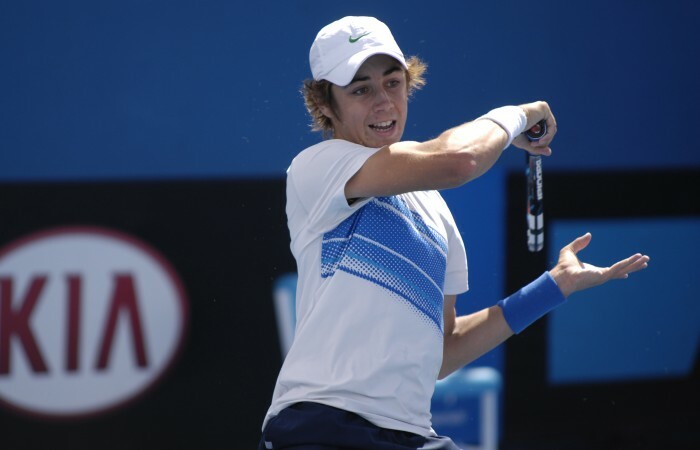 Other Australians in action on the first day of qualifying included 16-year-old Thanasi Kokkinakis, whose local profile was raised after his guest appearance in Perth at the Hopman Cup, where he was fiercely competitive in a loss to Fernando Verdasco and also partnered Venus Williams in a mixed doubles encounter. 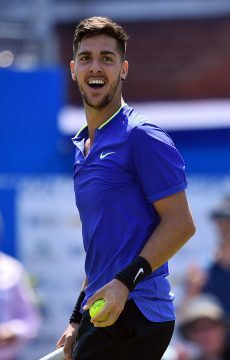 Today, Kokkinakis faced a stern test in 23-year-old American Steve Johnson. Ranked 175 in the world, well over 500 places higher than the young South Australian, Johnson also reached the last 32 at the US Open last year. In an enthralling affair on Show Court 3 that lasted nearly four hours, Kokkinakis played his heart out but eventually succumbed 6-4 7-6(5) 17-15 in a match he will no doubt take a lot from. Earlier in the day, his fellow South Australian, 20-year-old Alex Bolt, ranked 380 in the world, had an upset win over Dutchman Boy Westerhof, 7-6(5) 6-4. Matthew Barton and Matt Reid also both recorded comfortable straight sets victories. Barton defeated Slovak Kamil Capkovic 6-1 6-3 while Reid was successful over Brazil’s Ricardo Hocevar 6-2 6-4. 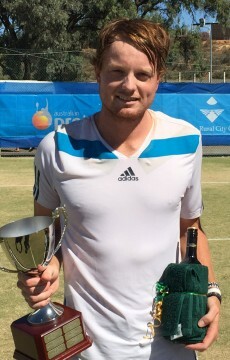 Meanwhile, Adam Feeney celebrated a fighting three-set win over American Daniel Kosakowski 5-7 6-4 6-3. 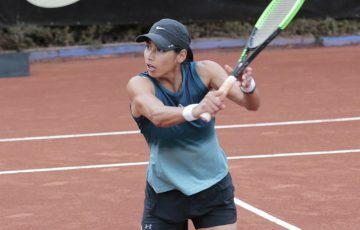 News wasn’t so good for other Australians though, including Nick Kyrgios, Brydan Klein, Jacob Grills and Sam Groth who all lost their first round qualifying encounters.